Sam Manekshaw was bornon April 03, 1914 in Amritsar, Punjab, Indian. India’s first ever Field Marshal, Sam Manekshaw was a distinguished military man with a glorious career spanning over four decades. The very name Sam Manekshaw is enough to inspire respect and admiration in the minds of Indians even today. 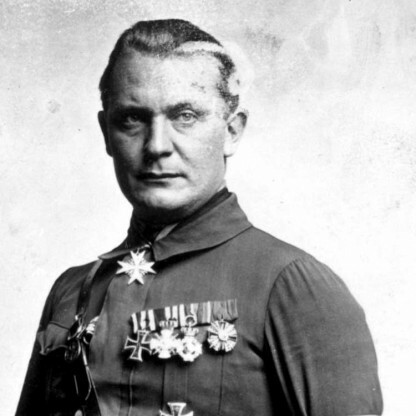 Given his achievements in the army and his prowess on the war front, it seems easy to assume that the man was always destined for a military career. But the weird fact is that it was just a quirk of fate that he joined the army! A brilliant student at school, the boy set his aspirations on becoming a doctor. He asked his father to send him to England to study medicine which the older man refused. 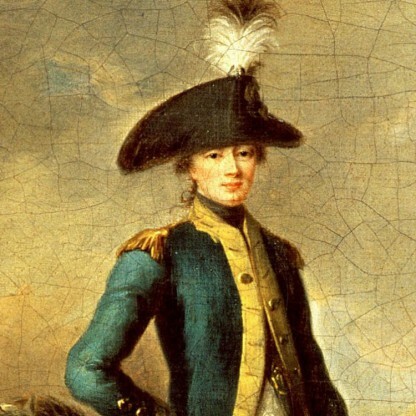 In an act of rebellion, the young Sam decided to sit for enrollment at the Indian Military Academy. He got selected and thus embarked on what was to become his rightful fate. His long and productive career started during the British era and continued for 40 years over which he witnessed several major wars like the World War II and the 1971 Indo-Pakistan war. 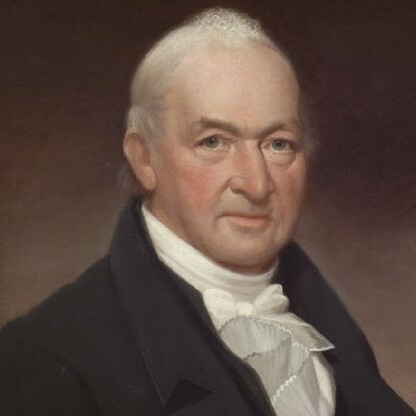 He was a very bold man not at all shy about making politically incorrect statements. 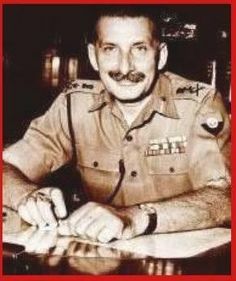 Sam Manekshaw was born on 3 April 1914 in Amritsar, Punjab, to Parsi parents—Hormusji Manekshaw, who was a Doctor, and his wife Hilla—who had moved there from the city of Valsad in the coastal Gujarat region. His father had served in the British Indian Army as a captain in the Army Medical Corps during World War I. Manekshaw was the fifth of six children; his younger sibling, Jemi, served in the Royal Indian Air Force as a Doctor and was the first Indian to be awarded the air surgeon&apos;s wings from the Naval Air Station Pensacola in the United States. In the meantime, the Indian Military College Committee, which was set up in 1931 and chaired by Field Marshal Sir Philip Chetwode, recommended the establishment of a military academy in India to train Indians for officer commissions in the army. A three-year course was proposed, with an entry age of 18 to 20 years. Candidates would be selected on the basis of an examination conducted by the Public Service Commission. A formal notification for entrance examination to enrol in the Indian Military Academy (IMA) was issued in the early months of 1932, and examinations were scheduled for June or July. In an act of rebellion against his father&apos;s refusal, Manekshaw applied for a place, and was one of the fifteen cadets to be selected through open competition. 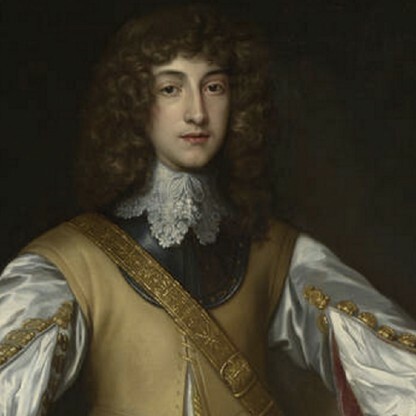 He was placed sixth in the order of merit. Manekshaw was selected as part of the first batch of cadets. Called "The Pioneers", his class also produced Smith Dun and Muhammad Musa, Future commander-in-chiefs of Burma and Pakistan, respectively. Although the academy was inaugurated by Chetwode on 10 December 1932, the cadets&apos; military training commenced on 1 October 1932. 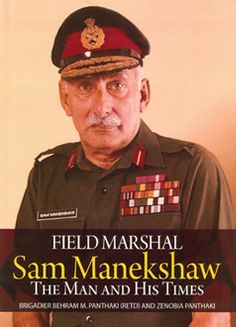 Manekshaw proved to be witty during his stay at IMA and went on to achieve a number of firsts: the first graduate to join one of the Gorkha regiments; first to serve as the Chief of the Army Staff of India; and first to attain the rank of field marshal. Of the 40 cadets inducted, only 22 completed the course, and they were commissioned as second lieutenants on 1 February 1935 with an anté-date seniority of 4 February 1934. At the time of Manekshaw&apos;s commissioning, it was standard practice for newly commissioned Indian officers to be initially attached to a British regiment before being sent to an Indian unit. As a result, Manekshaw joined the 2nd Battalion, The Royal Scots, stationed at Lahore. He was later posted to the 4th Battalion, 12th Frontier Force Regiment, commonly known as the 54th Sikhs, stationed in Burma. 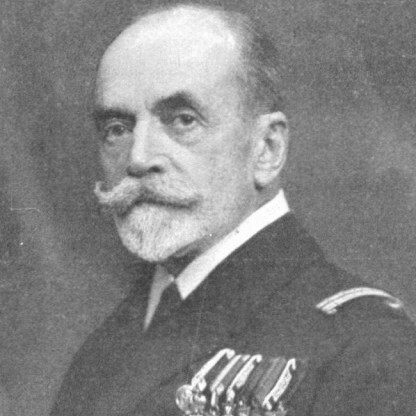 He was promoted to lieutenant in 1936, with seniority from 24 February. 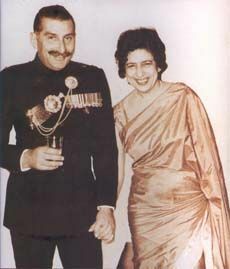 Manekshaw married Siloo Bode on 22 April 1939 in Bombay. 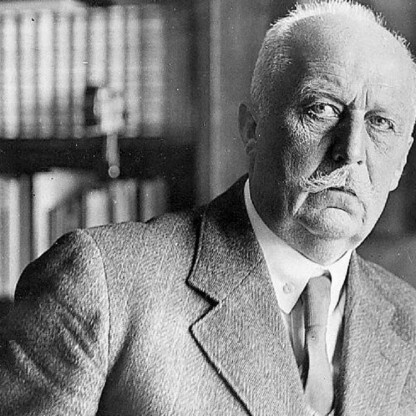 The couple had two daughters, Sherry and Maya (later Maja), born on 11 January 1940 and 24 September 1945 respectively. Sherry married Batliwala, and they have a daughter named Brandy. Maya was employed by British Airways as a stewardess and married Daruwala, a pilot. The latter couple have two sons named Raoul Sam and Jehan Sam. Because of a shortage of qualified officers on the outbreak of war, Manekshaw was given acting or temporary ranks; by August 1940, he was an acting captain and then an acting major. He was promoted to the temporary rank of captain on 1 August 1940 and to war-substantive captain on 20 February 1941. 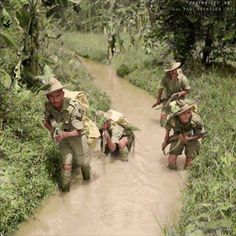 During World War II, then-Captain Manekshaw saw action in Burma in the 1942 campaign at the Sittang River with the 4th Battalion, 12th Frontier Force Regiment, and was recognised for bravery in battle. During the fighting around Pagoda Hill, a key position on the left of the Sittang bridgehead, he led his company in a counter-attack against the invading Imperial Japanese Army, and despite suffering 50% casualties the company managed to achieve its objective. After capturing the hill, Manekshaw was hit by a burst of light machine gun fire and was severely wounded in the stomach. Observing the battle, Major General David Cowan, commander of the 17th Infantry Division, spotted Manekshaw clinging to life and, having witnessed his valour in the face of stiff resistance, rushed over to him. Fearing that Manekshaw would die, the general pinned his own Military Cross ribbon on him saying, "A dead person cannot be awarded a Military Cross." This award was made official with the publication of the notification in a supplement to the London Gazette on 21 April 1942 (dated 23 April 1942). Manekshaw was promoted to the temporary rank of major on 14 October 1942. Having recovered from his wounds, he attended the eighth staff course at Command and Staff College in Quetta between 23 August and 22 December 1943. On completion, he was posted as the brigade major to the Razmak Brigade, serving in that post until 22 October 1944, after which he joined the 9th Battalion, 12th Frontier Force Regiment, in General william Slim&apos;s 14th Army. 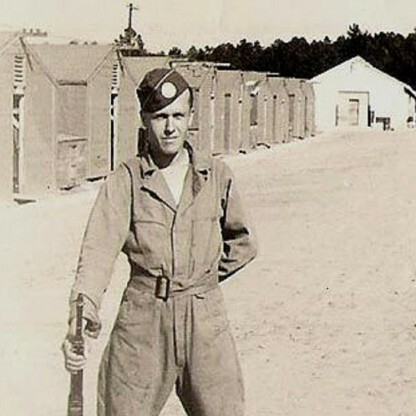 On 30 October 1944, he received the local rank of lieutenant-colonel. On the Japanese surrender, Manekshaw was appointed to supervise the disarmament of over 60,000 Japanese prisoners of war (POWs). He handled this so well that no cases of indiscipline or escape attempts from the camp were reported. In 1946, he completed a six-month lecture tour of Australia. 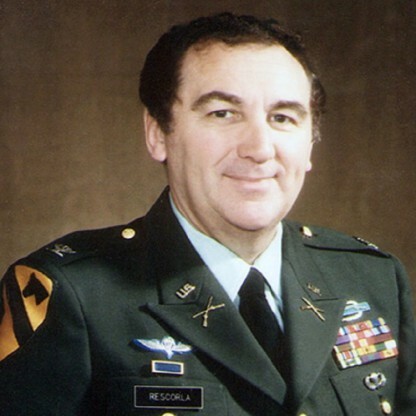 On his return, he was promoted to the temporary rank of lieutenant-colonel, serving as a Grade 1 General Staff Officer (GSO1) in the Military Operations (MO) Directorate. Manekshaw was promoted to the permanent rank of major on 4 February 1947. Manekshaw once claimed that Mohammed Ali Jinnah had asked him to join the Pakistan Army during the partition in 1947. In his usual jovial style, he added that if he had joined the Pakistan Army, India would have been defeated in the 1971 war. This remark attracted more criticism than any other incident in his career. In April 1952, Maneshaw was appointed the commander of the 167th Infantry Brigade, headquartered at Firozpur, and in 1954 he was appointed the Director of Military Training at Army Headquarters. He was soon posted as commandant of the Infantry School at Mhow, and also became the colonel of both 8 Gorkha Rifles and 61st Cavalry. The 8 Gorkha Rifles became his new regiment, since his original parent regiment, the 12th Frontier Force Regiment, had become part of the new Pakistan Army. During his tenure as the commandant of the Infantry School, he discovered that the training manuals were outdated, and was instrumental in revamping them to be consistent with the tactics employed by the Indian Army. In 1957, he was sent to the Imperial Defence College, London, to attend a higher command course for one year. On his return, he was appointed the General Officer Commanding (GOC), 26th Infantry Division. While he commanded the division, General K. S. Thimayya was the Chief of the Army Staff (COAS), and Krishna Menon the defence minister. During a visit to Manekshaw&apos;s division, Menon asked him what he thought of Thimayya. 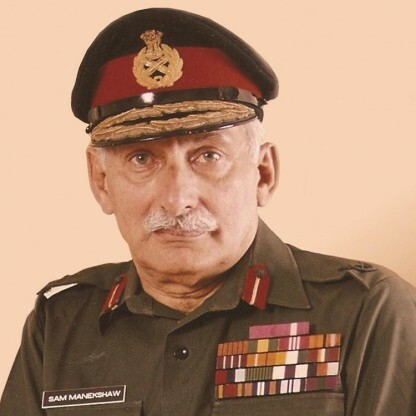 Manekshaw replied that it was not appropriate for him to think of his chief in that way, as he considered it improper to evaluate his superior, and told Menon not to ask anybody again. This annoyed Menon, and he told Manekshaw that if he wanted to, he could sack Thimayya, to which Manekshaw replied, "You can get rid of him. But then I will get another." In December 1959, Manekshaw was appointed the commandant of the Defence Services Staff College, Wellington, where he was caught up in a controversy that almost ended his career. In May 1961, Thimayya resigned as the COAS, and was succeeded by General Pran Nath Thapar. Earlier in the year, Major General Brij Mohan Kaul had been promoted to lieutenant general and appointed the Quarter Master General (QMG) by Defence Minister Menon. The appointment was made against the recommendation of Thimayya, who resigned as a result. Kaul was made the Chief of General Staff (CGS), the second highest appointment at Army Headquarters after the COAS. Kaul cultivated a close relationship with Nehru and Menon and became even more powerful than the COAS. This was met with disapproval by senior army officials, including Manekshaw, who made derogatory comments about the interference of the political leadership in the administration of the army. This led him to be marked as an anti-national. After completing the higher command course at the Imperial Defence College, he was appointed General Officer Commanding of the 26th Infantry Division. 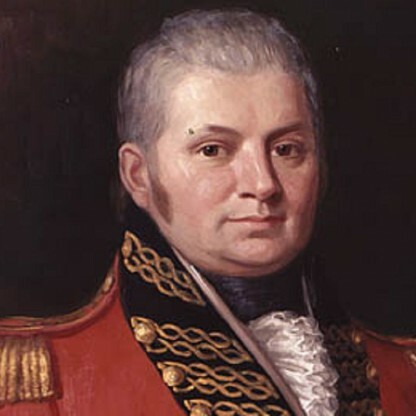 He also served as the commandant of the Defence Services Staff College. In 1961, Manekshaw made derogatory comments about the political leadership which allowed his opponents to label him as unpatriotic, and he was charged with sedition. After being exonerated in the subsequent court of inquiry, he took command of IV Corps in November 1962. The next year, Manekshaw was promoted to the position of army commander and took over Western Command, transferring in 1964 to the Eastern Command. A year later, Manekshaw was promoted to the position of army commander, and took over Western Command. In 1964, he moved from Shimla to Calcutta as the GOC-in-C Eastern Command. There he responded to an insurgency in Nagaland, for which he was awarded the Padma Bhushan in 1968. The chief of the army staff (COAS), General P. P. Kumaramangalam, retired in June 1969. Though Manekshaw was the most senior commander in army, Defence Minister Sardar Swaran Singh favoured Lieutenant General Harbaksh Singh, who had played a key role as the GOC-in-C of Western Command during the 1965 Indo-Pakistani war. Despite this, Manekshaw was appointed as the eighth chief of the army staff on 8 June 1969. During his tenure, he developed the Indian Army into an efficient instrument of war, and was instrumental in stopping a plan to reserve positions in the army for Scheduled Castes and Scheduled Tribes. Though he was Parsi, a minority group in India, Mankeshaw felt that the practice would compromise the ethos of the army and believed that all must be given an equal chance. The Indo-Pakistani conflict was sparked by the Bangladesh Liberation war, a conflict between the traditionally dominant West Pakistanis and the majority East Pakistanis. In 1970, East Pakistanis demanded autonomy for the state, but the Pakistani government failed to satisfy these demands and, in early 1971, a demand for secession took root in East Pakistan. In March, the Pakistan Armed Forces launched a fierce campaign to curb the secessionists, the latter including Soldiers and police from East Pakistan. Thousands of East Pakistanis died, and nearly ten million refugees fled to West Bengal, an adjacent Indian state. In April, India decided to assist in the formation of the new nation of Bangladesh. 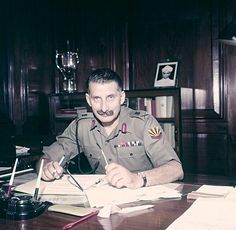 Lieutenant General Jacob, chief of the staff of Eastern Command during 1971 war, in his autobiography An Odyssey in War and Peace, wrote that Manekshaw had only gained popularity because of the media, and claimed that he had no battle experience other than during the Burma Campaign in 1942. Jacob described Manekshaw as "anti-national; anti-government; anti-Semetic." Jacob also said that when Manekshaw was the chief, he mentioned in a phone conversation that he had had very little confidence in Lieutenant General Jagjit Singh Arora (GOC-in-C of Eastern Command), and on being asked why he was appointing Arora to the position, Manekshaw allegedly replied, "I like to have him as a doormat." However, according to Journalist and former military officer Ajai Shukla, Jacob had a habit of bracing up his reputation by tarnishing others with false claims. Although Manekshaw was conferred the rank of field marshal in 1973, it was reported that he was not given the complete allowances to which he was entitled. It was not until President A. P. J. Abdul Kalam met Manekshaw in Wellington that he was presented with a cheque for ₹1.3 crore (US$230,000 approx. )—his arrears of pay for over 30 years. In May 2007, Gohar Ayub, the son of Pakistani Field Marshal Ayub Khan, claimed that Manekshaw had sold Indian Army secrets to Pakistan during the Indo-Pakistani War of 1965 for 20,000 rupees, but his accusations were dismissed by the Indian defence establishment. Annually, on 16 December, "Vijay Diwas" is celebrated in memory of the victory achieved under Manekshaw&apos;s leadership in 1971. 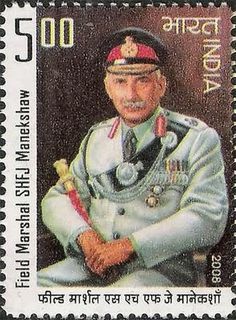 On 16 December 2008, a postage stamp depicting Manekshaw in his field marshal&apos;s uniform was released by then President Pratibha Patil. In 2014, a granite statue was erected in his honour at Wellington, in the Nilgiris district, close to the Manekshaw Bridge on the Ooty–Coonoor road, which had been named after him in 2009. Kaul sent informers to spy on Manekshaw who, as a result of the information gathered, was charged with sedition, and subjected to a court of inquiry. Meanwhile, two of his juniors—Harbaksh Singh and Moti Sagar—were promoted to lieutenant general and appointed as corps commanders. It was widely believed that Manekshaw had come close to being dismissed from the Service. The court, presided over by the General Officer Commanding-in-Chief (GOC-in-C) of the Western Command, Lieutenant General Daulet Singh, known for his integrity, exonerated Manekshaw. Before a formal &apos;no case to answer&apos; could be announced, the Sino-Indian War broke out; Manekshaw was not able to participate because of the court proceedings. The Indian Army suffered a debacle in the war, for which Kaul and Menon were held primarily responsible, and both were sacked. In November 1962, Nehru asked Manekshaw to take over the command of IV Corps. Manekshaw told Nehru that the court action against him was a conspiracy, and that his promotion had been due for almost eighteen months. Nehru apologised, promoted Manekshaw to lieutenant general and appointed him GOC of IV Corps at Tezpur.